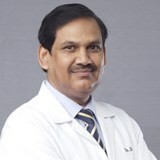 Dr. Shakeel completed his MBBS from King George's Medical College, Lucknow, India and his MD (Pathology) from J.N. Medical College, AMU, Aligarh, India. He has over 22 years of practical and teaching experience. He has also guided post-graduation students in their MD Thesis. He has presented a paper at International Congress of Cytology in Amsterdam, Netherlands. He has also attended hands workshops on gynaecological and Nongynaecological cytology on BD surepath system in Belgium. He has published many scientific papers in international and national journals. Dr Shakeel is a member of International Academy of Cytology (MIAC) and a member of Emirates Pathology Association.